Marino Morwood's designs have been worn by some crazy popular rappers. Steve Jobs may have been referenced in a hip-hop track or two, but Apple’s co-founder and urban fashion aren’t exactly things you’d expect to find together. That did not stop rap T-shirt designer Marino Morwood from picking Jobs as the subject of his latest creation. Having focused stars like Tupac Shakur and The Notorious B.I.G. 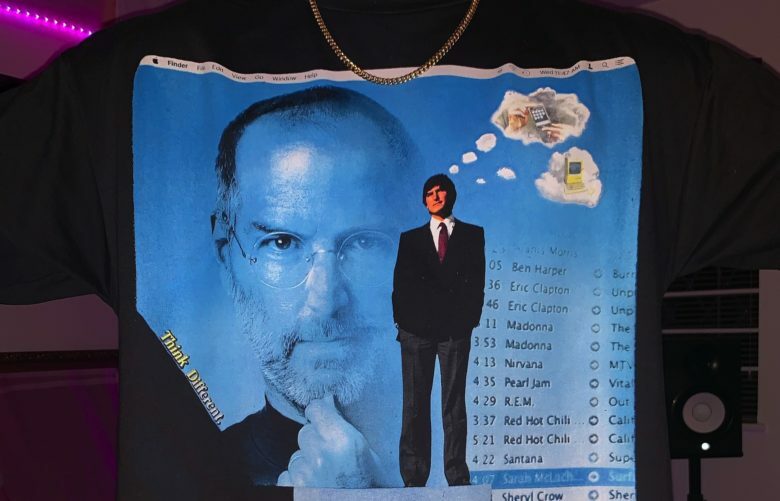 for his previous designs, his Steve Jobs T-shirt could bring Apple’s late CEO to a whole new audience!